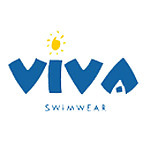 4	stars -	"Review for Swing Gathered Tankini Top Kazbah Chlorine Resistant" Dale Carter This Swing Gathered Tankini Top Kazbah Chlorine Resistant is the best Separates - Tops I have tried. Description: This is the perfect style tankini top to disguise the tummy and hips. The A line shape skims the tummy and hips and the slightly longer length hides the tops of the legs. The contrast panels in shades of black,white, dark pink and a hint of green is stunning and slims the torso. Team with your choice of briefs, roll top pants or boylegs styles or wear with board shorts for more coverage. The wide straps and soft cups add support but also allow the underwire swim bra to be worn underneath for extra support.